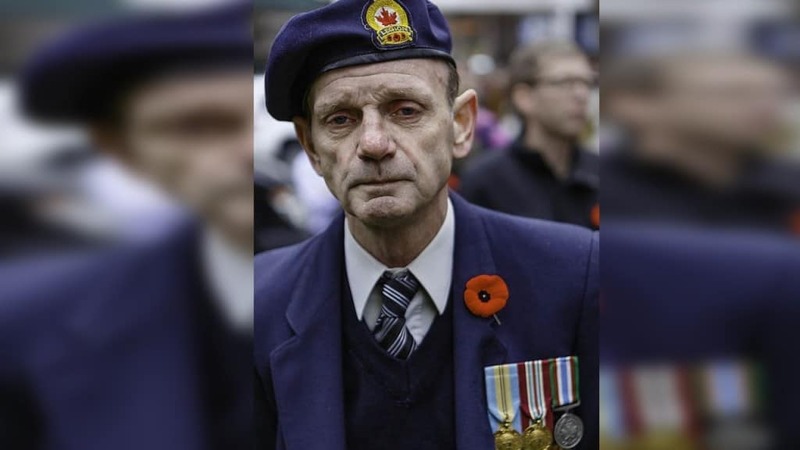 We’ve all heard the phrase ‘a picture is worth a thousand words,’ and the truth is that among the millions of selfies taken every day, there are a few gems that are extremely touching. 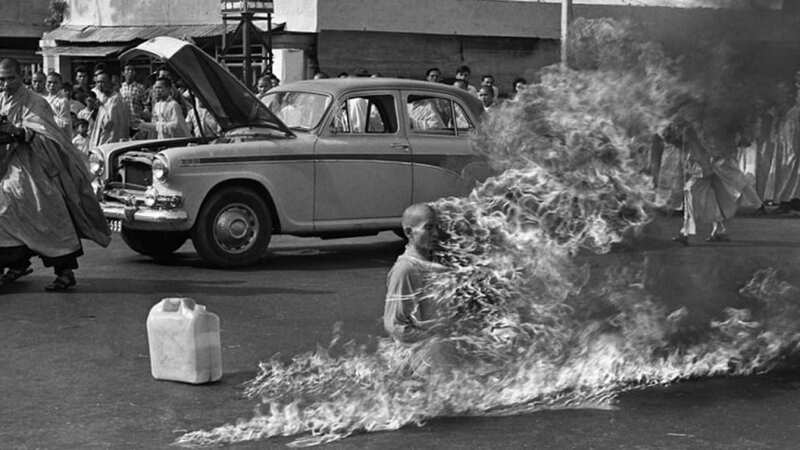 Expressing far more than words, these photographs make us deeply sympathize, feel real emotion and move us in unique ways, not achievable by other media. Even though there are probably thousands upon thousands of photos that can make you cry or smile within seconds, we’ve tried to gather the 20 touching photos that manage to capture true emotions in a single frame. 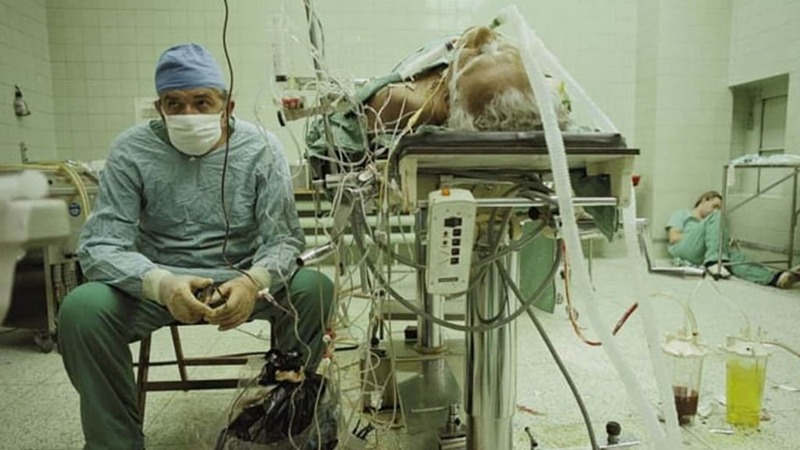 Taken in 1987 this amazing photograph shows Zbigniew Religa and his assistant sleeping in the corner after the struggle they’ve had in completing the first 23-hour heart surgery, which also was the first successful one in history. His face is extremely inspirational, expressing how tiring some struggles are, especially when we try to achieve what others deem impossible. 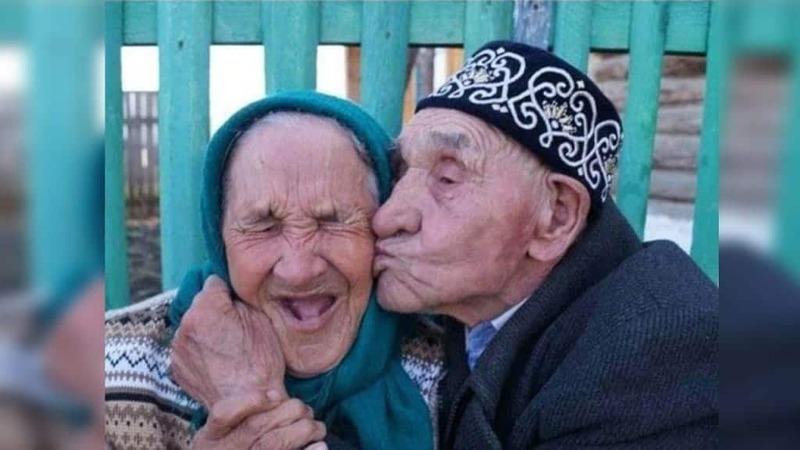 This picture of an old couple acting like teenagers in love manages to prove the theory that love can actually be eternal. Most people consider their pets to be their best friends. 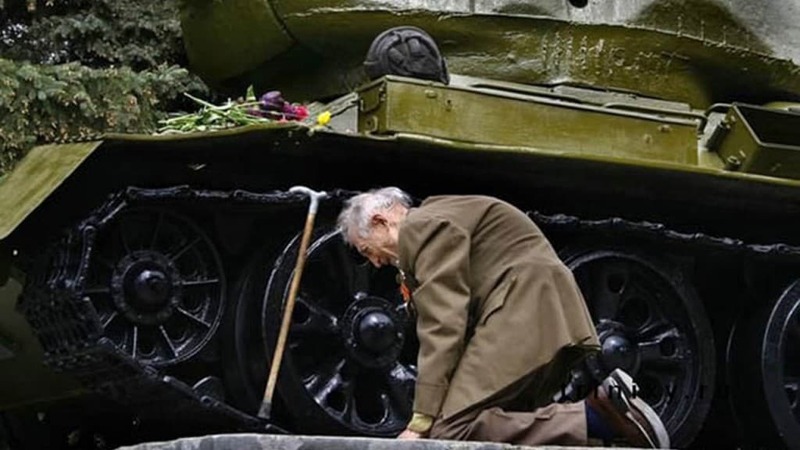 However, this war veteran shows that attachment can be universal, especially when you’ve spent years with a vehicle in times of war and it ended up becoming a monument. 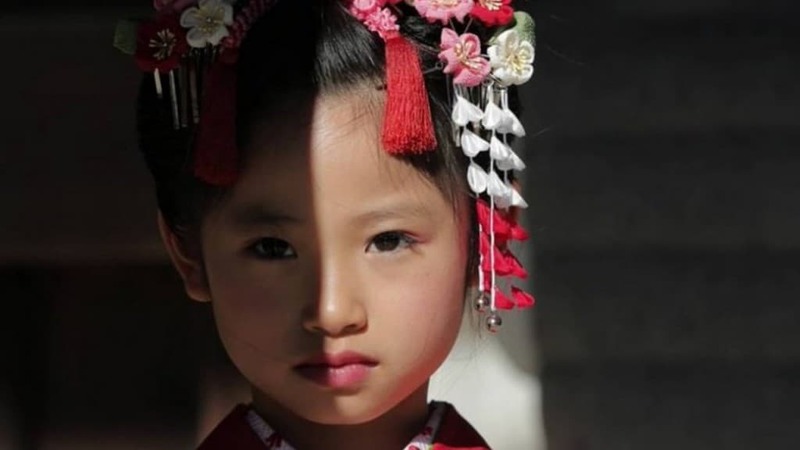 Dressed like an adult, this captivating little girl shows that no matter how you are dressed and what make up you wear, your eyes will always tell the truth. 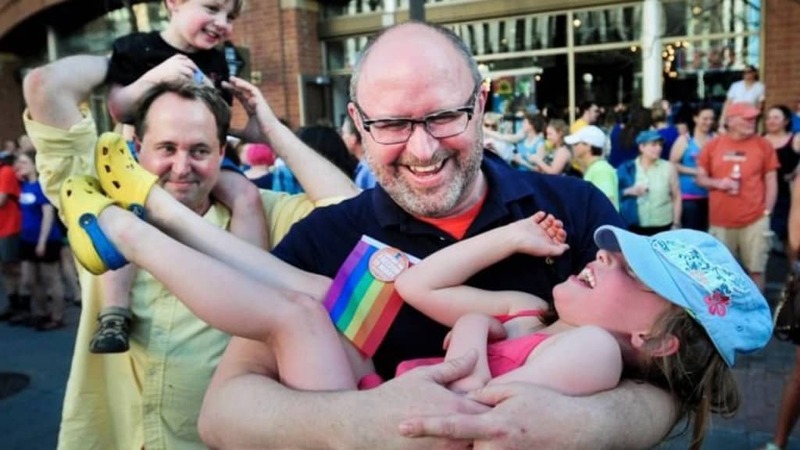 This recent picture showing two fathers extremely happy with the success of the gay rights movement captures the unique emotion that truly can’t be described with words . 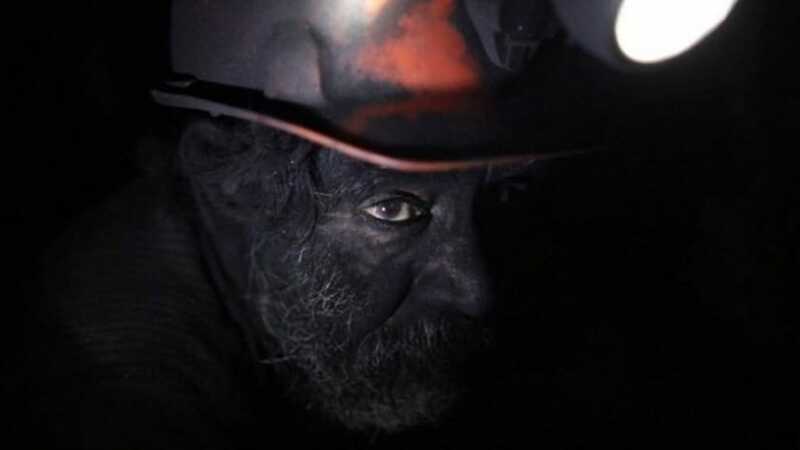 This photo of a man covered in charcoal expresses both the struggle, the little hope left and the extreme exhaustion of working in a coal mine. 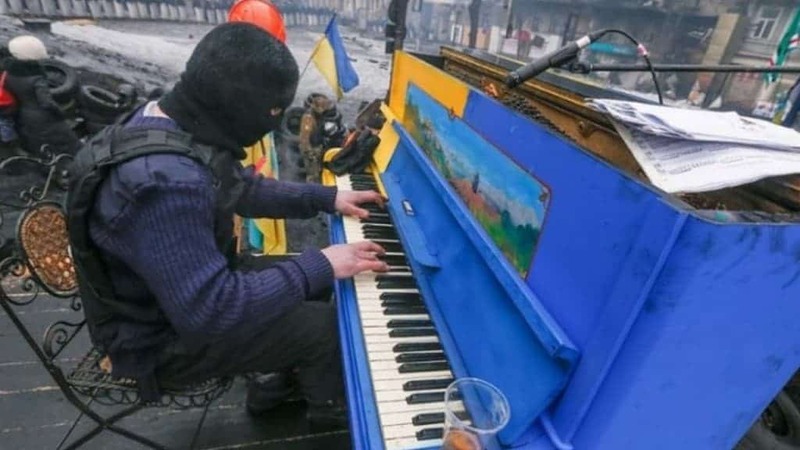 A protester in Ukraine playing the piano and motivating everyone by remind them what they are fighting for through the power of song, this unique photo shows that art does move the soul in unique ways. This photograph showing two lovers saying goodbye through a train window is soaked in powerful emotions. Religion can make us do extreme things, whether because of tradition, oppression or sheer dedication. 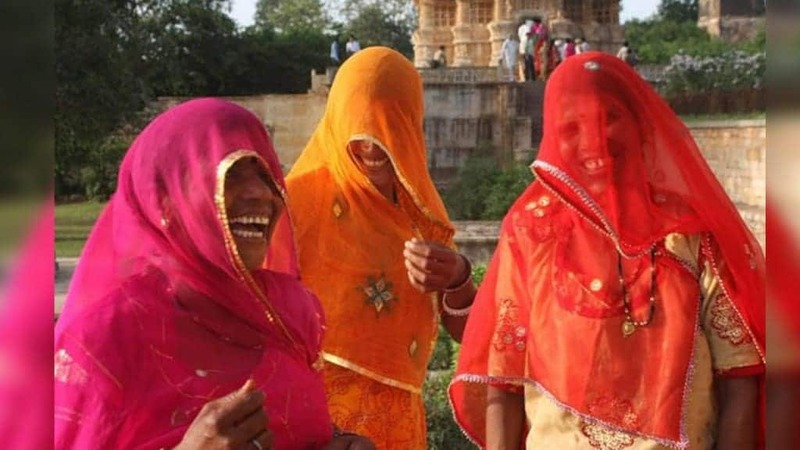 However, these three Indian girls show in this powerful photo that covering your face, doesn’t mean you can’t express your emotion with a powerful smile. 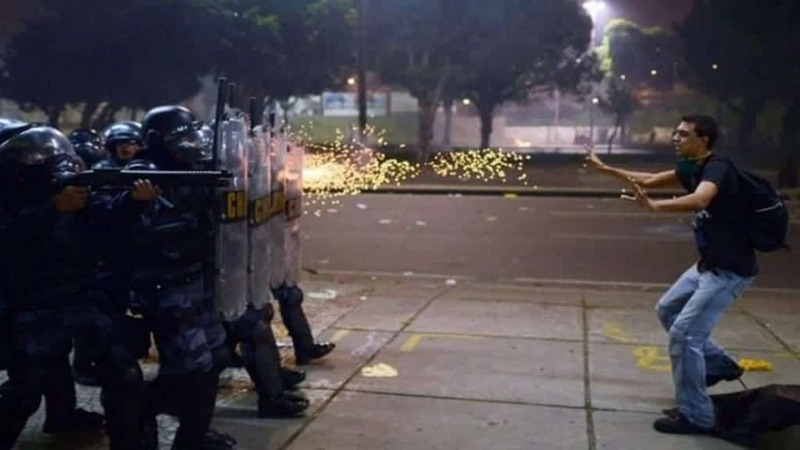 This powerful photograph of a protester in front of the police manages to truly depict the harshness and brutality of police forces, especially in times of turmoil. We often describe beauty as what’s on the cover of the latest issues of the popular fashion magazines. However, this photograph proves that true beauty in life can be found at the most unexpected of places. 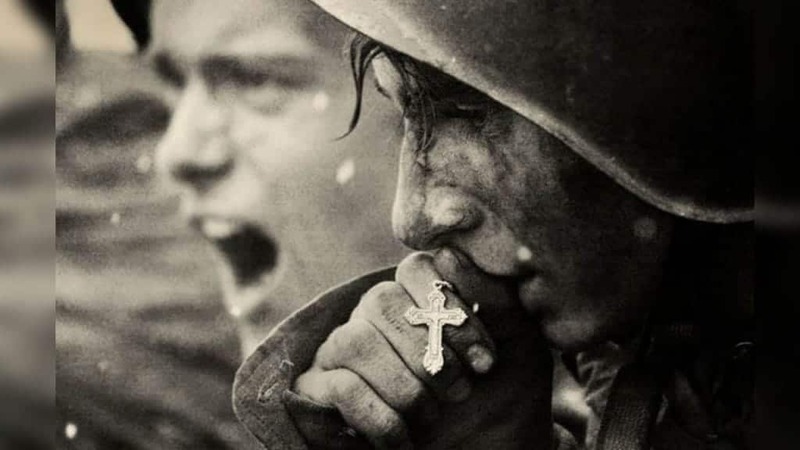 Belief is a powerful thing, as depicted by this powerful photograph of a soldier in battle kissing his hand, while holding a cross. 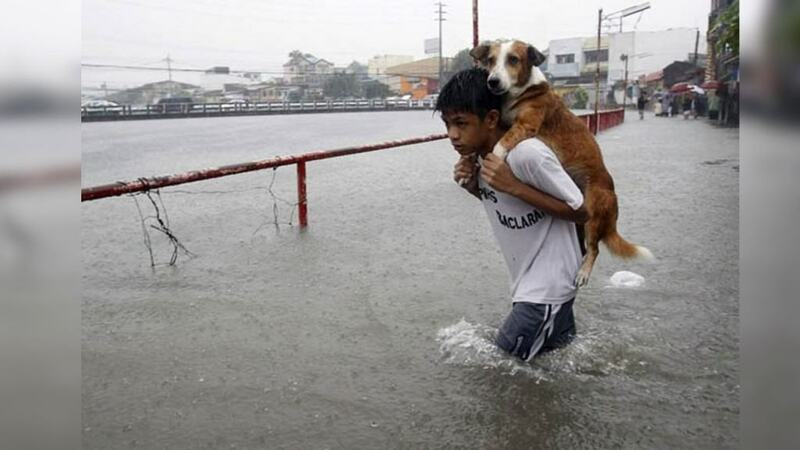 Helping us regain hope in humanity as a whole, this heartwarming photograph of a kid helping his dog through a flood shows extreme dedication. Depicting extreme sadness, this photograph is beautiful in its own manner. This photo does not only express a number of human emotions, but also holds the powerful story worth more than a thousand words. 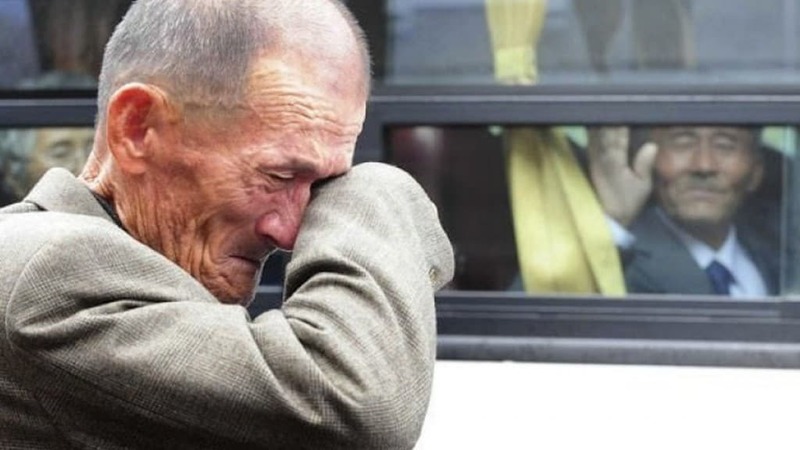 Separated by the border between North and South Korea, these two brothers hadn’t met each other for a number of years and had to say goodbye yet again moments after their meeting. 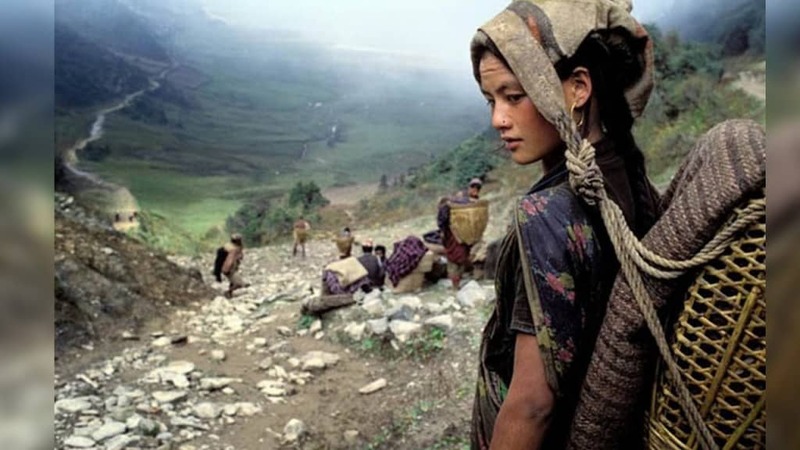 Living without the struggles a third world country has, we often forget to think how dire things can get. 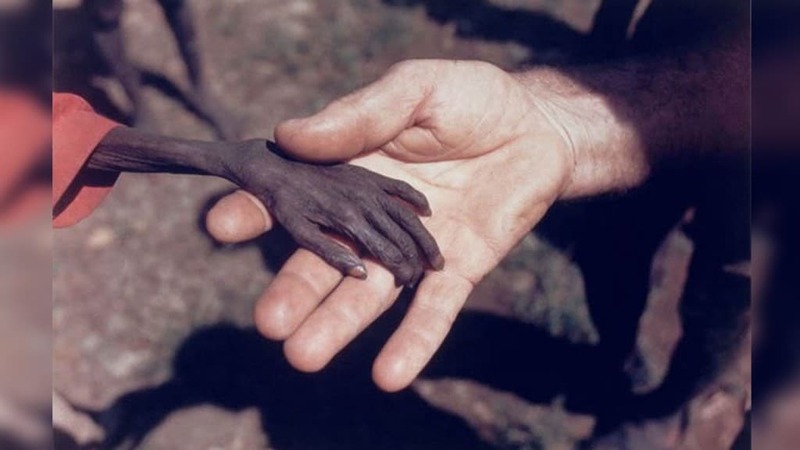 This unique photograph shows us a mercenary holding the hand of a starved child in Uganda. 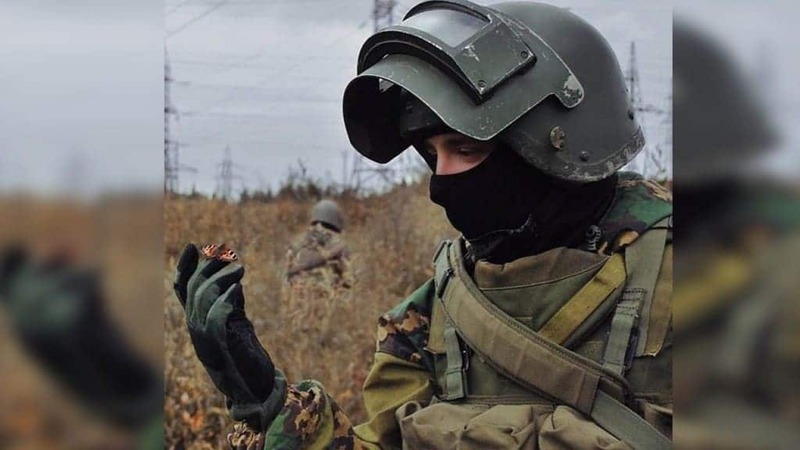 This unique photo of a soldier gazing at the beauty of a simple and innocent butterfly can make you not only extremely emotional, but also raise a number of questions in your head, such as – what’s running through his head, as he’s staring at this butterfly? 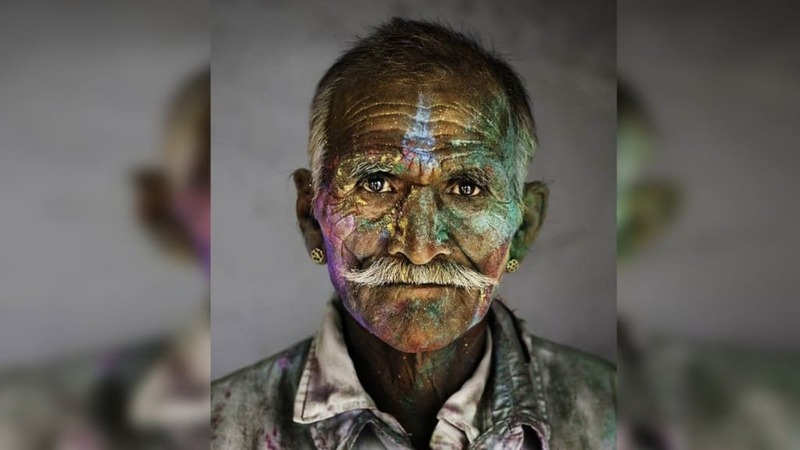 This photograph of a man during Holi, the festival of colors speaks on so many different levels that we can’t even begin to describe the true emotion captured in his eyes. 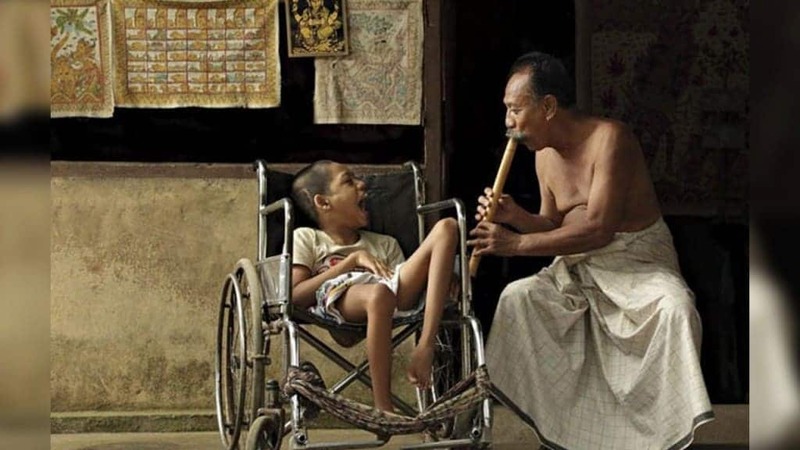 To send you off on a nice note, we chose this unique photo showing an old man playing a musical instrument to a child in a wheelchair. The smile of both their faces prove once and for all that true happiness doesn’t cost a cent.